March condo inventory was down 11%. ~ Listing $ volume is basically even – down only 57K from $50,593 million to $50,535 million. 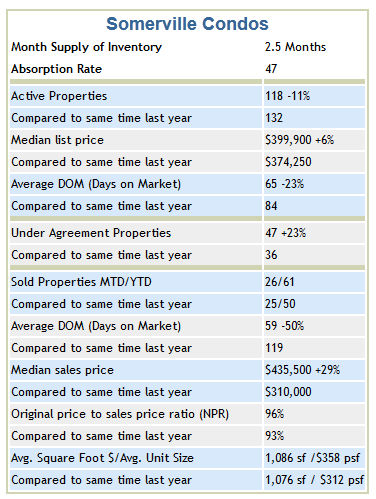 ~ The median list price went up 6% with the active days on market dropping through demand to just over 2 months. ~ Condos going under agreement increased by 23%. 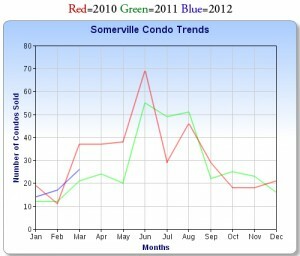 Condos sold for the month exceeded last March by one sale with the year to date sales up 18%. 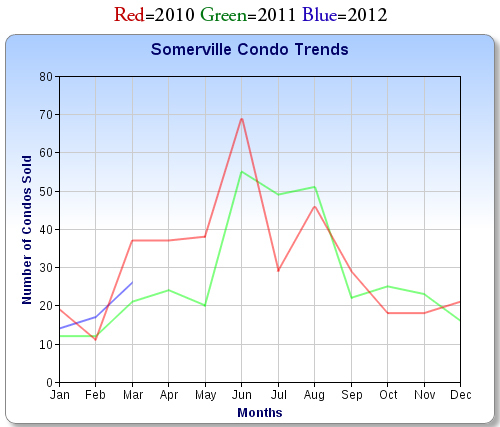 ~ Somerville condo sold $ volume YTD is up 20% from the end of March last year. 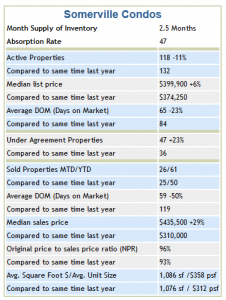 ~ Sold average days on market shrunk by 50% on average to less than 2 months. The original price to sale price ratio increased by 3% to 96% of the original list price. ~ The average square foot price was increased by $46 to $358 per square foot with the average condo size remaining about the same at 1,086 square feet.